From his teachers to his last words, here are some surprising facts about the German-born composer and pianist. Born in December of 1770 in Bonn, Ludwig van Beethoven would go on to become one of the most influential composers, writing dozens of symphonies, concertos, piano sonatas and string quartets. Trained as a pianist for much of his youth, Beethoven would slowly lose his hearing over the years, eventually turning completely to composing. Despite losing his most precious sense as a musician, Beethoven composed some of his most enduring works even as his hearing deteriorated. In anticipation of the Seattle Symphony’s performances of Beethoven’s Fifth Symphony this weekend, here are five surprising facts that you might not know about this legendary composer! 1) He was actually the third Ludwig van Beethoven in his family. That famous quote attributed to Beethoven — “There are and will be a thousand princes; there is only one Beethoven”—isn’t exactly true. 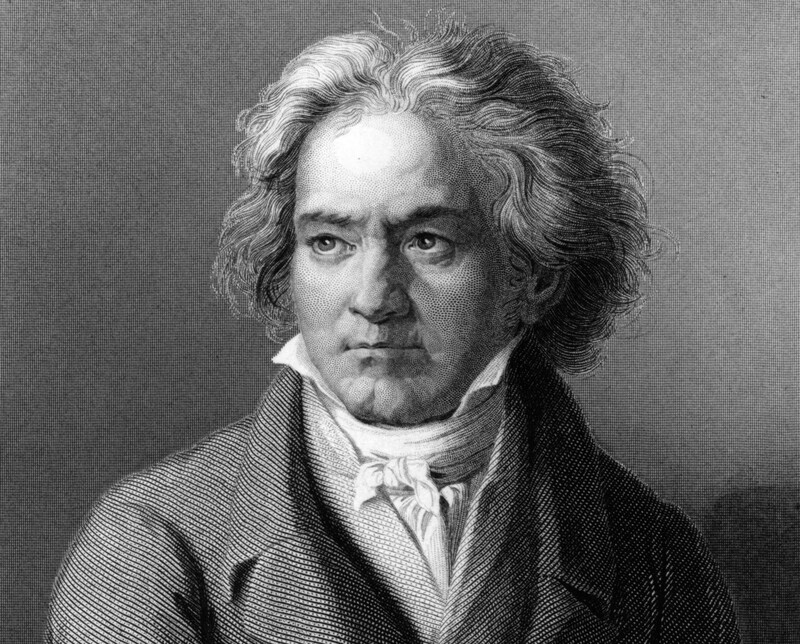 The first Ludwig van Beethoven was the composer’s grandfather, a musician in Bonn, and the second was Beethoven’s older brother, who passed away a few days after his birth. 2) He studied with Mozart’s teacher — Franz Joseph Haydn. After Beethoven moved to Vienna in his early 20s, he started taking lessons with Haydn, often called the father of the symphony. Although Haydn and Beethoven would often clash and argue, Beethoven nevertheless dedicated his Piano Sonatas, Op. 2 to his teacher. 3) He was unlucky in love. Beethoven first fell in love with a young countess named Julie (“Giulietta”) Guicciardi in 1801, but could not marry her because he was a commoner. His famous Piano Sonata No. 14, “Moonlight,” is dedicated to her. A few years later he met and fell in love with Josephine Brunswick, another countess, after he began giving her piano lessons in 1799. They would write a series of love letters, of which 15 by Beethoven survive, until her family pressured them to terminate the relationship. 4) We don’t really know why he became deaf. Beethoven started to lose his hearing when he was 26 years old and by the last decade of his life it was completely gone. Although there are many theories about why Beethoven lost his hearing, we don’t really know what caused it.The most likely causes might be a disease from his early childhood like typhus or small pox. 5) He died during a thunderstorm at age 56. We don’t really know Beethoven’s final words, although his friends and biographers have recorded many different versions including “Pity, pity — too late,” or “Applaud, my friends, the comedy is over” and “I shall hear in heaven,” a reference to his deafness. Experience Beethoven’s tragic Symphony No. 5 with condutor Kirill Karabits and the Seattle Symphony, November 15, 17 & 18.